So my husband made the most awesome gift for me this year: a telescope. He worked on it for more than a month - evenings, weekends, he was holed up in our garage, working away. It never occurred to me that he was making a telescope. I mean - who does that? Especially when they haven't made anything before. That's right, this was my husband's first woodworking project. Because you can read about the actual telescope everywhere else, I thought I'd examine some interesting thoughts and emotions that have surfaced in the wake of revealing the project. A friend's husband emailed her when he saw the project on Gizmodo, saying Chris had "raised the bar" on husband/wife gifts. I guess he has, but here's the thing: Chris and I rarely exchange gifts. I've actually watched said friend exchange sweet, small gifts with her husband for years, and wished Chris and I did more of that. There's something to be said for small, meaningful, frequent gifts. 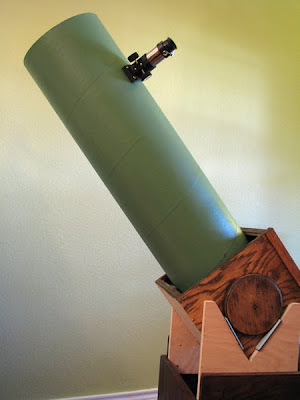 Sure, a handmade telescope that ends up getting a lot of internet publicity is cool, but it doesn't mean that smaller gifts aren't special or should be made to feel inadequate. So Rachel, you've got a really nice husband, but he's probably cheated on you in the past year. That's the only logical explanation. I know this is just hipster snark, and that's fine and all, but really? Are we all so jaded that we can't accept that someone would make a gift for gift's sake (or for - gasp - love!)? I also like to think this was as much a gift for Chris as it was for me. He works a lot, and the hours he spent in the garage with his favorite music playing was an excellent way to unwind and relax and get creative for a bit. To me, the gift of the telescope is secondary to that gift of time for himself. One thing that has surprised me about myself from all of this is a bit of a feeling of inadequacy. (and, yeah, I know this is just my own little issue and I'll get over it just fine, but it's still worth mentioning) Remember how I said this was Chris' first woodworking project? It's really his first project of any sort, and he nailed it. Like on-the-head nailed it. He decided to do it, found plans online and excecuted it perfectly. Has my first version of anything I've made ever been anywhere in the same vicinity of perfect? What gives? I'm suppposed to be the creative one in our equation. I'm supposed to be the "Maker" here. He's the accountant, the spreadsheet guy, and now he's showing me up in the field of making stuff, too? It's causing me to reevaluate my methods. Sometimes I'm a little too happy-go-lucky-fly-by-the-seat-of-my-pants-give-plans-the-finger. Maybe there's something to be said for his extrememe focus, determination and fortitude. I rarely finish a project on time, I'm always scrambling, procrastinating ... playing. He started and finished the project BOOM-BOOM-BOOM. Done and done. Do NOT get me wrong, playing is essential, but sometimes I mistake lollygagging for playing and my work suffers. I know Chris didn't expect all this to come from the telescope project, and if anything it's just an interesting way to see how a handmade gift can spark more thought and discussion than you imagined. Who knew a gift made to look out into the heavens could turn focus so much closer to home? It's finally here! 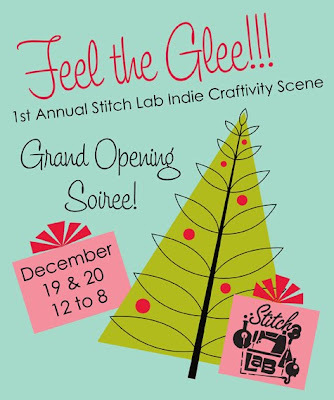 The Official Grand Opening Soiree for the Stitch Lab! Leslie and Carol have put together an amazing weekend of the most awesome indie crafters in Austin, and the Lab is all decked out for a glee-filled event. Saturday and Sunday, noon to 8PM, guests can peruse the goods of more than 20 of Austin's best-loved artisans, munch on seriously tasty vittles and sip festive bevvies. 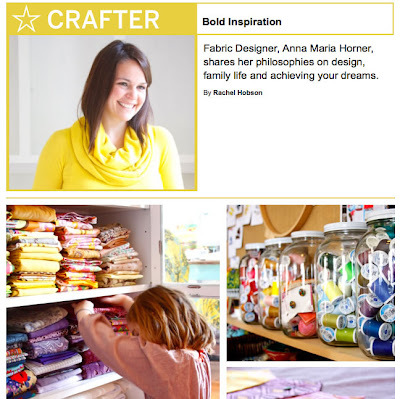 Best yet, all of the yummy fabrics and wool felt at the Stitch Lab are a whopping 20% off. 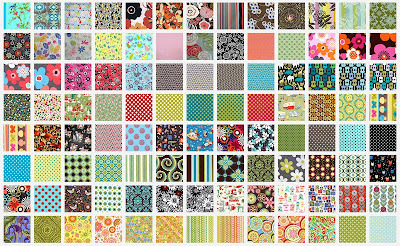 I was just in the Lab this week, teaching a class, and saw some of the newest fabrics Leslie has stocked. Oh. My. Goodness. I wanted to lick every last bit of it! It was all so dreamy! You can read all about the event and all the vendors over on the event page. I can't wait to get over there and splurge on some fabric and felt and other goodies as a little Christmas gift to myself. ;) Hope to see you there! And in case you missed it, my good pal, Misty, did a beautiful write up and house tour of the Stitch Lab for Apartment Therapy. The pictures are divine! Enjoy! Hurrah! It's the new CRAFT! I'm so incredibly proud of the team of folks who made all this happen. You can't imagine the hours of work and dedication that go into a massive site overhaul like this (and we're not just talking about making things look nice - it's got major backend work to make the site more user-friendly). 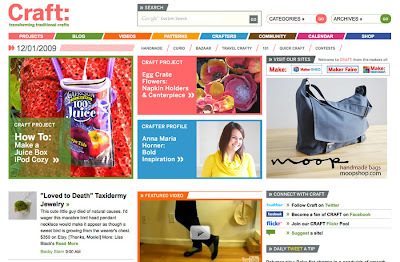 It's just more proof of CRAFT's dedication to being the absolute hub for all things craft-related on the internet. We have a team of awesome folks working our backsides off to make the site its best and who give the site a certain flavor and style you can't find anywhere else. 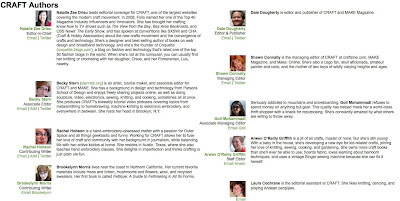 We also have tons of great, highly talented contributors who bring exclusive content (along with their expertise) to the site. It makes for an incredibly rich resource. I feel crazy lucky to be a part of it. Check it out and let us know what you think! Be sure to check out all the new sections listed across the top of the page (you'll recignize them from the print magazine) and be sure to either subscribe to our RSS or CRAFT Daily so you can keep up with all the great content that is posted each and every day. Among other things, I've got a great profile piece on artist, fabric designer and awesome mom (to SIX), Anna Maria Horner. It was such a treat to interview her. I was blown away not just by all she does, but also (and more importantly) the spirit with which she does it. Enjoy!